The Detoxatrim system is a new scientific approach to weight loss, designed to detoxify and cleanse your body and jump-start your fat-burning furnace (website). Detoxatrim is made specifically for women. This Detoxatrim review will detail the ingredients in Detoxatrim and help you decide if Detoxatrim is the right choice for you. Apple, white grape, orange, blueberry, grape, strawberry, peach, pear, carrots, tomato, celery, spinach, yellow pepper. While these ingredients are very healthy and give essential vitamins and minerals, it is unlikely that there will be any noticeable change in your body within 24-hours of taking the 24-Hour Fat Flush (unless it gives you the runs). Hoodia Gordonii has NOT been proven to contribute to weight loss. Glucomannan is a dietary fiber. It makes the body feel full, which can lead to weight loss. Studies have found that to be effective, glucomannan needs to be taken in doses of 1-2 grams per day. Detoxatrim does not list how much glucomannan is contained in the formula. Chromium has shown contradictory results in clinical studies; some studies have found chromium contributes to weight loss, while other studies have found it does not. 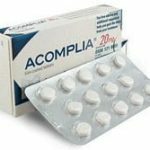 Advantra-Z contains Synephrine, which has been shown to cause weight loss. Unfortunately, Detoxatrim diet pills fail to reveal how much Advantra-Z is contained in the formula, making it impossible for this Detoxatrim review to determine if the Advantra-Z in Detoxatrim is enough to be effective. Green tea is another clinically proven diet pill ingredient. Again, Detoxatrim fails to say how much green tea is contained. This long list of ingredients can be overwhelming. Dont be fooledjust because a diet pill has dozens of ingredients doesnt mean it is more effective than others. In fact, a long list of ingredients often means the diet pill company is being cheap by including only a very small amount of each ingredient. 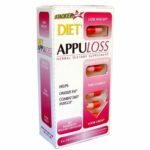 Detoxatrim diet pills cost $21.95 for 112 capsules (a one-month supply). The 24-Hour Fat Flush costs $14.99 for a one-month supply. The links on the Detoxatrim website are all functioning except the link to purchase the products. You would think they would be sure this link was working. You can also find it for $14.99 on Amazon. 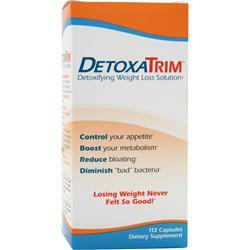 Detoxatrim claims it is a long-term weight loss solution (website). They really emphasize the importance of detoxing your system. However, they also say you have to keep detoxing your system, so how is that a long-term solution? They want you to believe Detoxatrim is a unique product that will give you unmatched results. The truth is Detoxatrim is really no different than dozens of other diet pills. This Detoxatrim review finds that Detoxatrim is nothing special. The 24-Hour Fat Flush will most likely only give you the runs. The Detoxatrim diet pills do contain some proven ingredients, but they fail to list how much of each ingredient is included. Your best bet for weight loss is to take a diet pill that includes clinically proven ingredients in proven amounts.